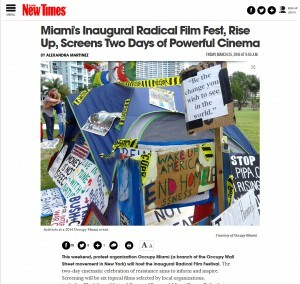 A 2-day radical film festival and celebration of resistance hosted under the umbrella of grassroots organizations that screened documentaries covering issues raging from animal rights to foreign policy and racial justice followed by discussions with local organizers. Held at the Earth N’ Us Farm organic farm in Little Haiti, the venue provided an oasis from the city and immersed participants in a natural setting and brought several activist groups together to produce, with the local Food Not Bombs Miami chapter contributing a vegan potluck. The design concept playfully incorporates familiar memes like Grumpy Cat and Philosoraptor, with Hollywood-style lettering to emphasize its net-culture underground programming.